Why choose a VPS Hosting Plan for Your Business? VPS ( virtual private server) solutions, Linux and Windows, from JaguarPC can enhance the services you need for your business. Our VPS hosting plans offer you a dedicated server node where you can house your data and add your own configurations and enhanced security needs. You won’t be encumbered by others users and the standardized configurations that you typically find on a shared hosting plans.Upgrade for Future Growth A VPS plan gives you the ability to grow as your traffic and disk space needs increase. When your business takes off it is easy to upgrade to next level VPS plan; Pro, Business and Enterprise, which can offer you the disk space and bandwidth you will want to accommodate for your successful business endeavors. VPS hosting plans allow you many of the same features you would find on a dedicated server without the cost. Simply, upgrade your VPS plan over moving to a dedicated plan and the savings for your business will be big.Control Your own unique dedicated IP along with root access and configuration control provides you the options you need to best customize your server. You will have greater jurisdiction over what you can run on your VPS node. While shared servers often have standard configurations which you can’t change, a VPS plan will allow you to run the applications and the configurations that best suit your needs. Choose your own OS (operating system) to create the environment that you operate in most frequently and makes your tasks easier.Improved Security Options You will have your own administrative panel along with root access which allows you more control over your security settings and needs. JaguarPC offers multi-layered protection built right into the system so that you are protected straight out of the gate when you select this level of plan. 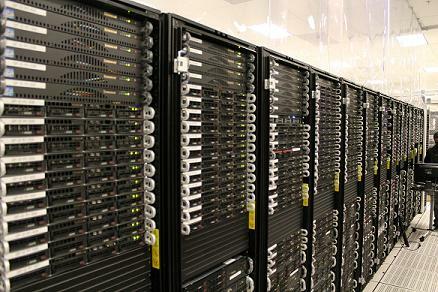 VPS is a safe and secure choice for business hosting. Use our settings or make adjustments to accommodate your advanced security needs.Managed Support While all of our plans are backed by 24/7/365 support we find that VPS users sometimes need a bit more assistance over shared account users. That is why we offer 2 free hours of admin. time each month for our Managed VPS clients. JaguarPC’s stellar support team can assist you when you are in a tight spot and don’t know where to turn or if you have a basic question which will help you augment your VPS knowledge we are there for you day and night. You will find a managed VPS allows you to get the assistance you need.Our VPS web hosting plans offer a flexible solution for growth, security and customization to meet your own specific needs. Experience a better web hosting option for a growing business when you sign up for one of our valued added VPS plans.